For over four decades, the focus of Smithfield Fair has been harmony vocals and original songs deftly placed over acoustic instrumentation. Smithfield Fair has presented its heartfelt original music and arrangements of traditional songs across the United States on concert and festival stages; in historic venues and theatres; at large events such as the World's Fair, New Orleans Jazz & Heritage Festival and Kerrville Folk Festival; as well as in the most intimate coffeehouses, cafes and house concerts. Flowers In Her Hair, Longships, James of the Glen, God Never Sleeps, Flying High and other Smithfield Fair songs have become popular internationally through constant radio, satellite and internet airplay. 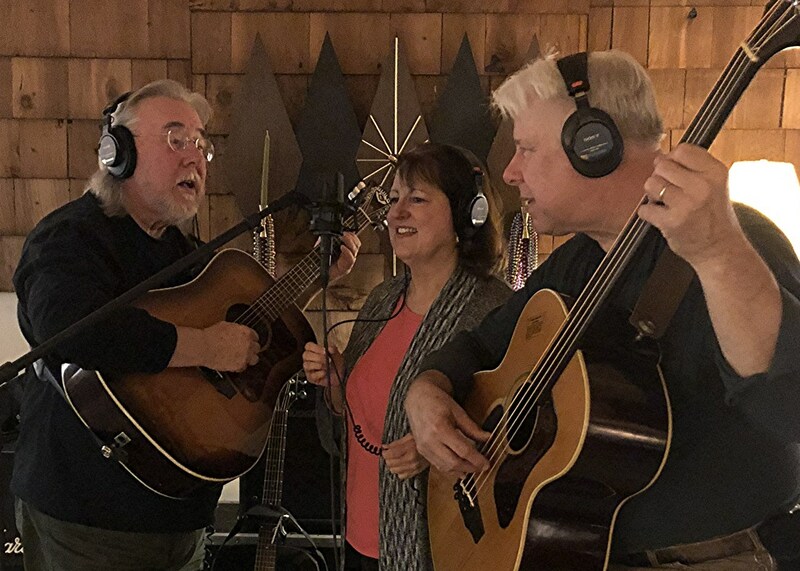 Smithfield Fair continues to be a true original, creating hopeful and imaginative songs, and performing them with passion, honesty and humor. Music begets music! Proceeds from purchased Smithfield CDs go toward making new music. Tune into Smithfield Fair Radio. Smithfield Fair & Charmer music has now been added to KC Cafe Radio, THE place for singer-songwriter-original music. Tune in and request our music often and enjoy new music by other independent and original artists! Smithfield Fair is on Facebook. Be sure to visit and 'like' us. Jan & Dudley-Brian have written a series of fun, interesting and Scottish-themed books, which are available in VERY limited quantities. See the BOOK prompt at the top of this page for information. Note: This website is the only official source for information on Smithfield Fair. Every effort is made to make certain all information is correct and up to date. All Smithfield Fair's guitars are Guilds made in Westerly, Rhode Island, set-up and maintained by Holger Notzel in Baton Rouge, Louisiana. You can contact Holger at 225-955-9283 or at 4262 Perkins Road - behind Black Torch Tattoos - 2-6 p.m., Monday through Friday; or through Komet Amps. Yeah, they make the amps used by Sonny Landreth, Mark Knopfler, Eddie Van Halen & others. Remember - We love to hear from you. E-mail us anytime.